It's no secret that I love a good ole monthly subscription box, I've tried my fair share ranging from beauty, makeup, food and even one for us ladies time of the month but never have I come across a good fragrance one until now when I heard of the Secret Scent Box. 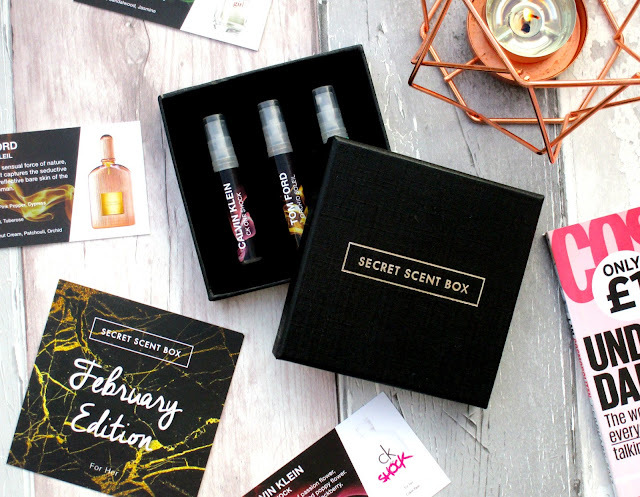 Secret Scent Box* is a monthly subscription fragrance box that lets you try and discover new designer and branded perfumes or colognes. Within each box you get a 30 day supply of three different fragrances, the fragrances come in mini spray bottles perfect for popping in your hand bag or clutch, and are delivered through your letterbox every month for just £15.00 with free UK delivery. 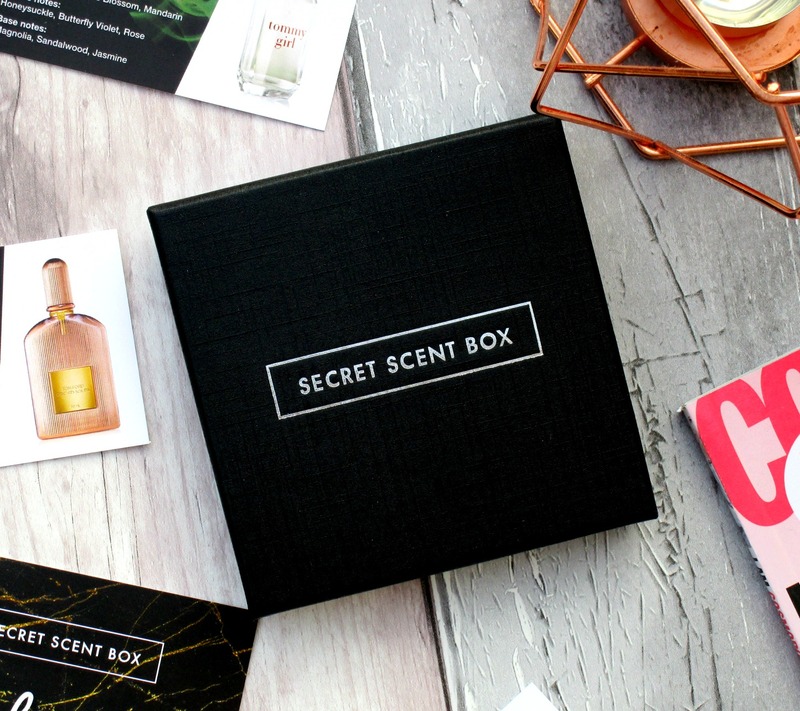 When signing up - theres a choice of a box for her or a box for him, which I love, theres so many subscription boxes out their for us ladies but not so many for men so I think it's great that Secret Scent Box cater to men too. 1. Calvin Klein CK One Shock - Calvin Klein scents are always popular and CK One Shock certainly doesn't disappoint, it super floral and fresh and perfect for Spring. 2. Tom Ford Orchid Soleil - I always hear so many good things about Tom Ford fragrances, their such a luxury 'high end' brand and their scents are definitely something I could never just go treat myself too, so the fact I have a sample in my Secret Scent Box makes me very happy and allows me to finally try a perfume I thought I'd never be able to. 3. Tommy Hilfiger Tommy Girl - Tommy Hilfiger's Tommy Girl brings back lots of memories for me, this was my go to perfume back in the 90's when I was 14/15 years old, I remember wearing it at high school everyday and I have to say it smells just as lush as I remember he he. Overall I love this concept and if your into your designer fragrances then I think you will love it too, my favourite scent out of the three I got this month was by far the Tom Ford Orchid Soleil, I would never of expected a subscription box to have something from Tom Ford in even if it sample size. Ah this is such a good idea, nice way to try out perfumes properly before you buy them!